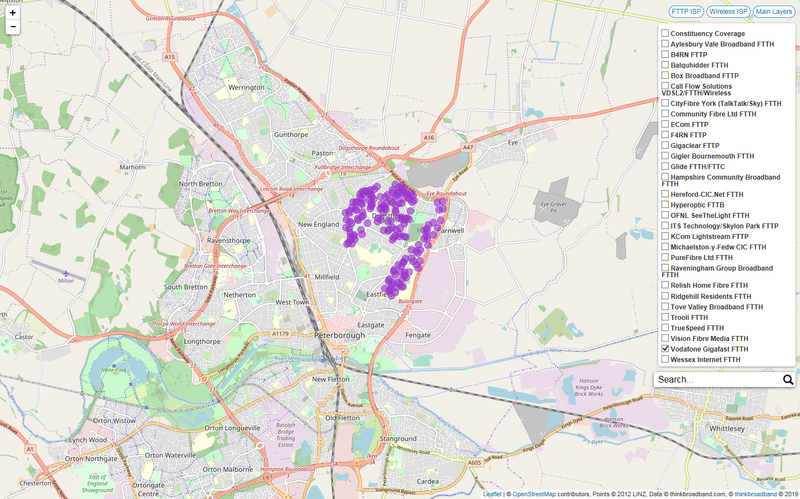 More full fibre is good news and today we are highlighting that the area between the Newark and Eastfield areas of Peterborough now have a full fibre broadband option via Vodafone Gigafast. This additional bit of footprint that we have found has pushed the full fibre coverage in the City of Peterborough from 7.1% to 8.7% and the UK wide footprint for the Vodafone Gigafast service is currently at 23,083 premises. Patiently waiting for this they started on the other side of town from me (I'm just to the left of the large road and railway track) dividing the city. Keeping an eye on the Gigafast sign up page and roadworks.org, but have no idea what their schedule is.